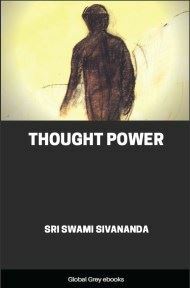 This is a set of lectures by Swami Vivekananda on the subject of Karma Yoga, one of the several yogic paths to enlightenment. Karma Yoga is a mental discipline which allows one to carry out one's duties as a service to the entire world, as a path to enlightenment. By working in the real world, but giving up attachment to work, we can obtain spiritual liberation. Vivekananda discusses the concept of Karma in the Bhagavada-Gita, and singles out the Buddha as a primary example of this form of yoga. The word Karma is derived from the Sanskrit Kri, to do; all action is Karma. Technically, this word also means the effects of actions. In connection with metaphysics, it sometimes means the effects, of which our past actions were the causes. But in Karma-Yoga we have simply to do with the word Karma as meaning work. The goal of mankind is knowledge; that is the one ideal placed before us by Eastern philosophy. Pleasure is not the goal of man, but knowledge. Pleasure and happiness come to an end. It is a mistake to suppose that pleasure is the goal; the cause of all the miseries we have in the world is that men foolishly think pleasure to be the ideal to strive for. After a time man finds that it is not happiness, but knowledge, towards which he is going, and that both pleasure and pain are great teachers, and that he learns as much from evil as from good. As pleasure and pain pass before his soul they leave upon it different pictures, and the result of these combined impressions is what is called man's "character." If you take the character of any man it really is but the aggregate of tendencies, the sum-total of the bent of his mind; you will find that misery and happiness are equal factors in the formation of that character. Good and evil have an equal share in moulding character, and in some instances misery is a greater teacher than happiness. In studying the great characters the world has produced, I dare say, in the vast majority of cases, it would be found that it was misery that taught more than happiness, it was poverty that taught more than wealth, it was blows that. brought out their inner fire more than praise. Now this knowledge, again, is inherent in man; no knowledge comes from outside; it is all inside. 'What we say a man "knows," should, in strict psychological language, be what he "discovers" or "unveils"; what a man "learns" is really what he "discovers," by taking the cover off his own soul, which is a mine of infinite knowledge. We say Newton discovered gravitation. Was it sitting anywhere in a corner waiting for him? It was in his own mind; the time came and he found it out. All knowledge that the world has ever received comes from the mind; the infinite library of the universe is in your own mind. The external world is simply the suggestion, the occasion, which sets you to study your own mind, but the object of your study is always your own mind. The falling of an apple gave the suggestion to Newton, and he studied his own mind; he rearranged all the previous links of thought in his mind and discovered a new link among them, which we call the law of gravitation. It was not in the apple nor in anything in the centre of the earth. All knowledge therefore, secular or spiritual, is in the human mind. In many cases it is not discovered, but remains covered, and when the covering is being slowly taken off we say "we are learning," and the advance of knowledge is made by the advance of this process of uncovering. The man from whom this veil is being lifted is the more knowing man; the man upon whom it lies thick is ignorant, and the man from whom it has entirely gone is all-knowing, omniscient. There have been omniscient men, and, I believe, there will be yet; and that there will be myriads of them in the cycles to come. Like fire in a piece of flint, knowledge exists in the mind; suggestion is the friction which brings it out. So with all our feelings and actions—our tears and our smiles, our joys and our griefs, our weeping and our laughter, our curses and our blessings, our praises and our blames—every one of these we may find, if we calmly study our own selves, to have been brought out from within ourselves by so many blows. The result is what we are; all these blows taken together are called Karma,—work, action. Every mental and physical blow that is given to the soul, by which, as it were, fire is struck from it, and by which its own power and knowledge are discovered, is Karma, this word being used in its widest sense; thus we are all doing Karma all the time. I am talking to you: that is Karma. You are listening: that is Karma. We breathe: that is Karma. We walk: Karma. Everything we do, physical or mental, is Karma, and it leaves its marks on us. There are certain works which are, as it were, the aggregate, the sum-total, of a large number of smaller works. If we stand near the seashore and hear the waves dashing against the shingle we think it is such a great noise; and yet we know that one wave is really composed of millions and millions of minute waves: each one of these is making a noise, and yet we do not catch it; it is only when they become the big aggregate that we hear. Similarly every pulsation of the heart is work; certain kinds of work we feel and they become tangible to us; they are, at the same time, the aggregate of a number of small works. If you really want to judge of the character of a man look not at his great performances. Every fool may become a hero at one time or another. Watch a man do his most common actions; those are indeed the things which will tell you the real character of a great man. Great occasions rouse even the lowest of human beings to some kind of greatness, but he alone is the really great man whose character is great always, the same wherever he be. Karma in its effect on character is the most tremendous power that man has to deal with. Man is, as it were, a centre, and is attracting all the powers of the universe towards himself, and in this centre is fusing them all and again sending them off in a big current. Such a centre is the real man, the almighty, the omniscient, and he draws the whole universe towards him; good and bad, misery and happiness, all are running towards him and clinging round him; and out of them he fashions the mighty stream of tendency called character and throws it outwards. As he has the power of drawing in anything, so has he the power of throwing it out.